In 1968, Karen Kissel turned 18, graduated from high school and married John, all within eight days. Two and a half years later, their first son, Joe, was born, followed by another son, Dude, two and a half years after Joe. Starting out the first few years of her adult life as a wife and mother of two, Karen did not, in the beginning, envision herself becoming a professional rodeo secretary. Instead, she worked part time in a day care enter and eventually opened a Licensed Home Day Care of her own which she ran for 10 years. When John began picking up for Honeycutt Rodeo Company, Karen immediately became involved. She started out timing and learning the secretary system. She had the good fortune to work under the auspices of veteran secretaries, Virginia Honeycutt, Alice Alsbaugh, and Linda Alsbaugh, for five or six years. During that time, she did everything that needed doing before going to a secretary's school in Colorado Springs and becoming certified. In 1988, Karen began secretarying on her own, working for other contractors in addition to Honeycutt Rodeo Co. 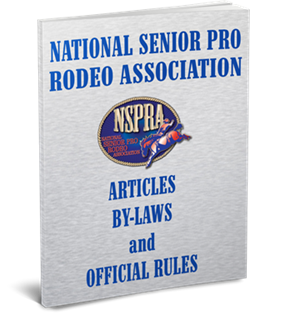 In the past 28 years, she has secretaried numerous rodeos for the PRCA, NSPRA & GCPRA. Karen was selected to time the WNFR in 2003, and also timed at the National Circuit Finals that same year. She had timed the Mountain States Circuit Finals before that. She timed the Turquoise Circuit Finals three times and was selected twice as their Finals Rodeo Secretary. The first year she attended the NSPRA finals in approximately 2004, she sat and watched John rope. The next three years, she served as an official timer, which led to her becoming the NSPRA Finals secretary for 4 years in Winnemucca and another 4 years at Las Vegas. Karen's expertise as a rodeo secretary is the result of many years of experience. She is knowledgeable about all aspects of rodeo and can answer all questions on the spot. She posts results and pays off accurately and quickly. Although very focused and businesslike, Karen always takes time to give a big smile and quick hug. She says the neatest part of her job is the one on one relationship with the cowboys and the cowgirls! No wonder contestants love her.